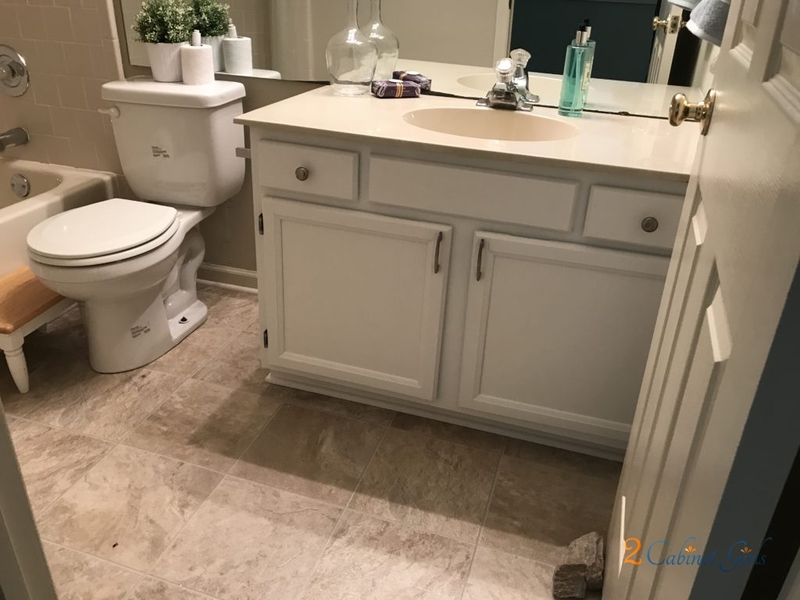 Our homeowner was having trouble selling her house. 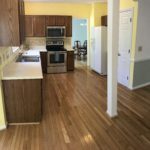 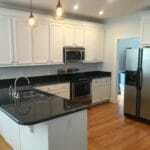 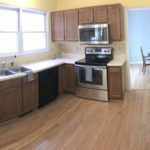 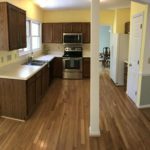 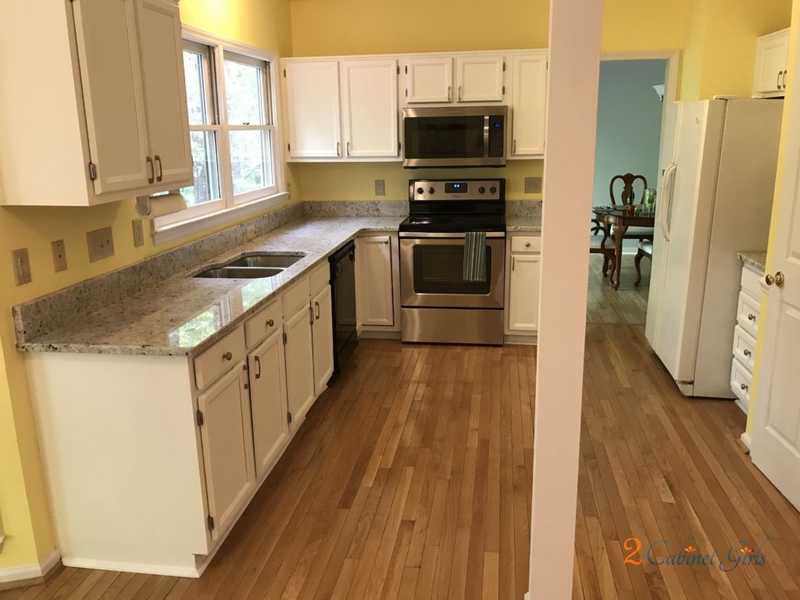 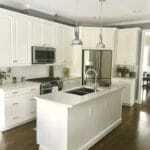 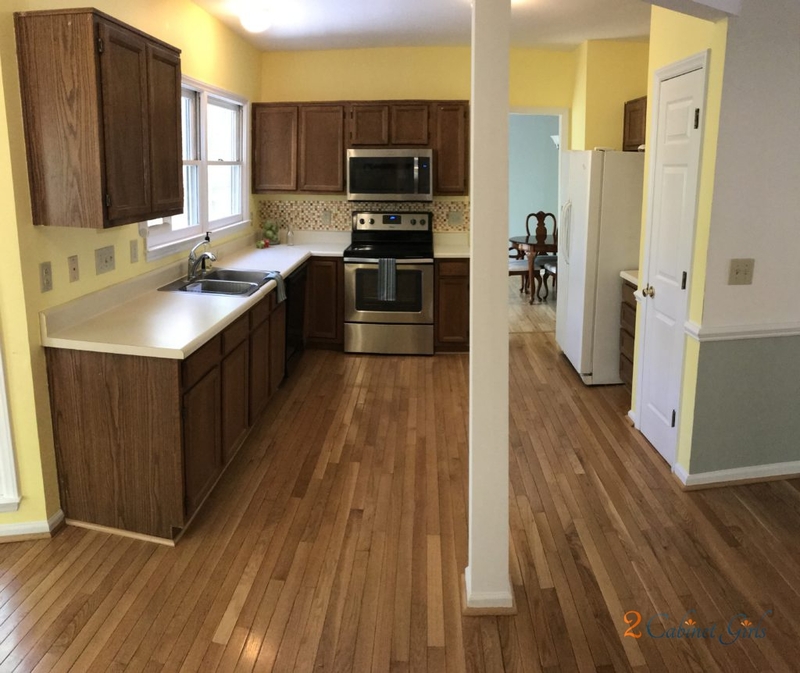 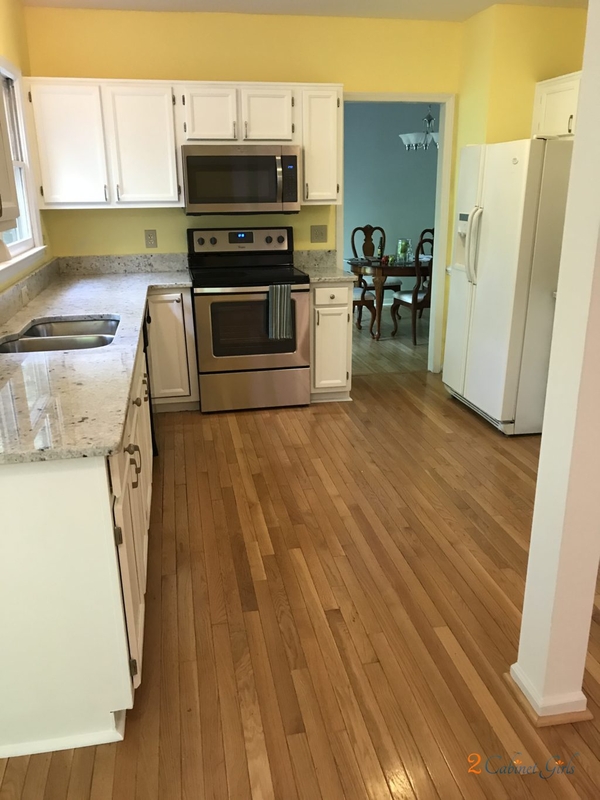 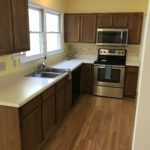 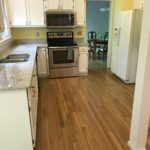 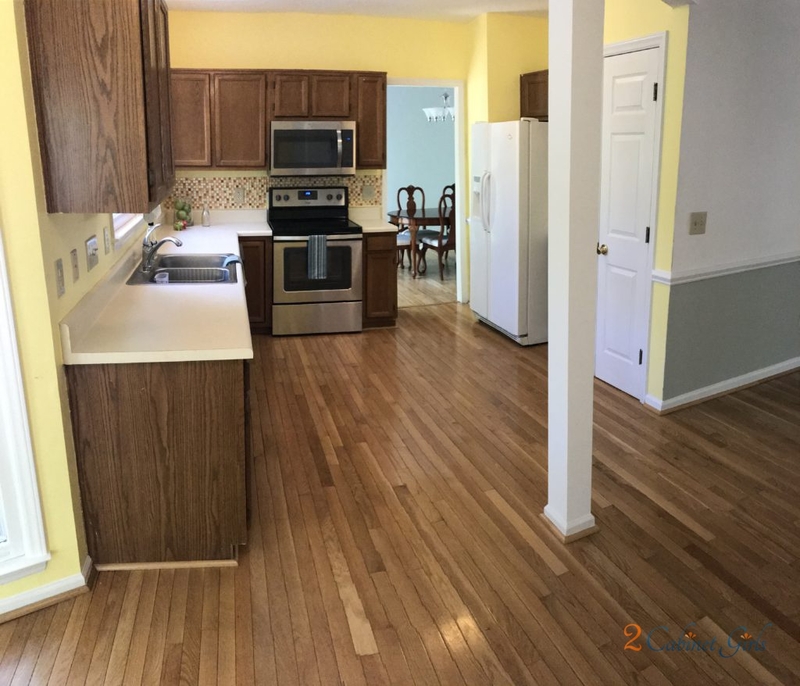 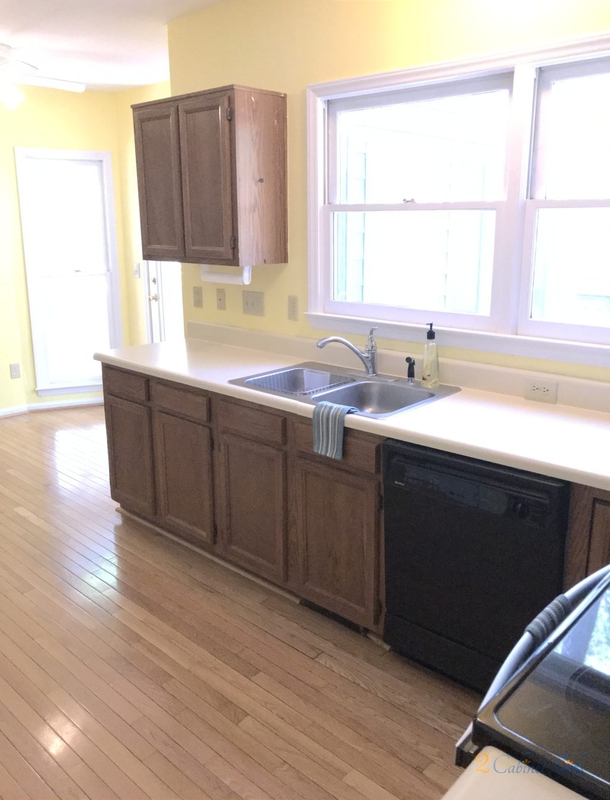 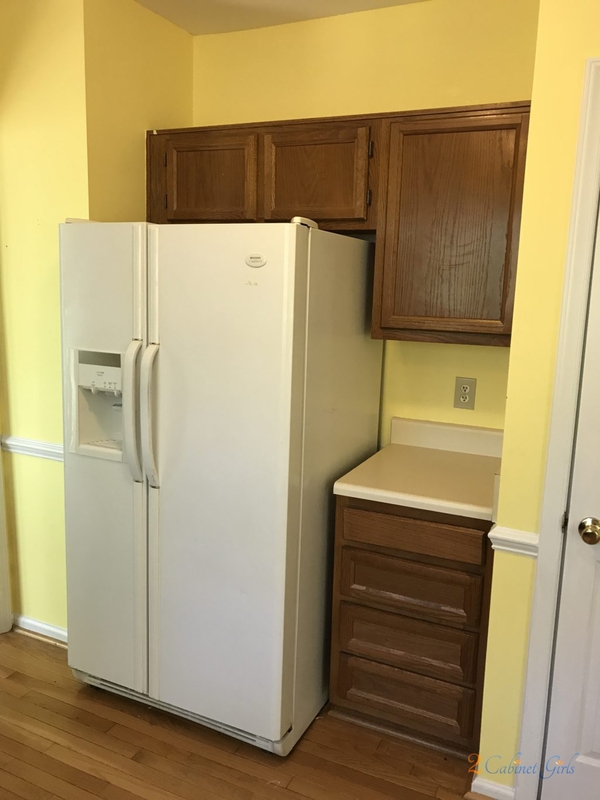 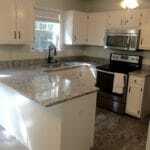 The kitchen was receiving lots of negative comments because of it’s dated appearance. 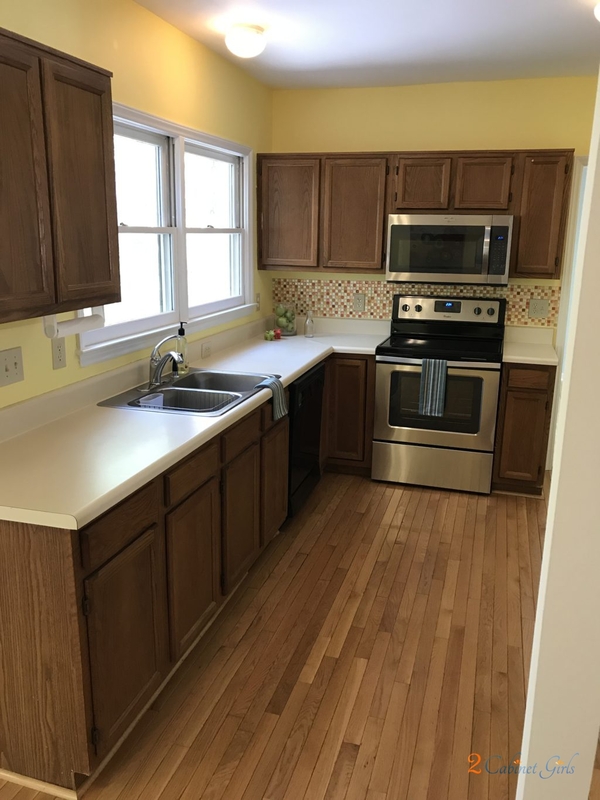 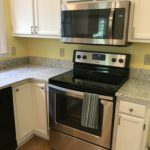 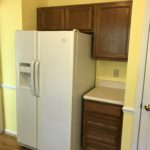 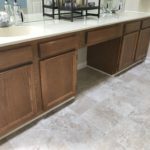 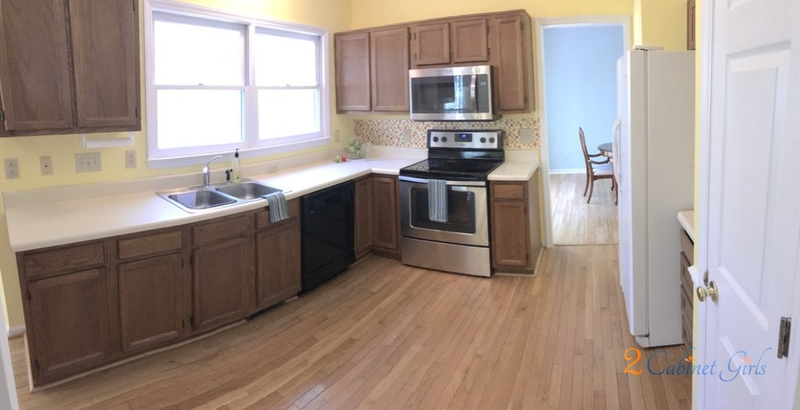 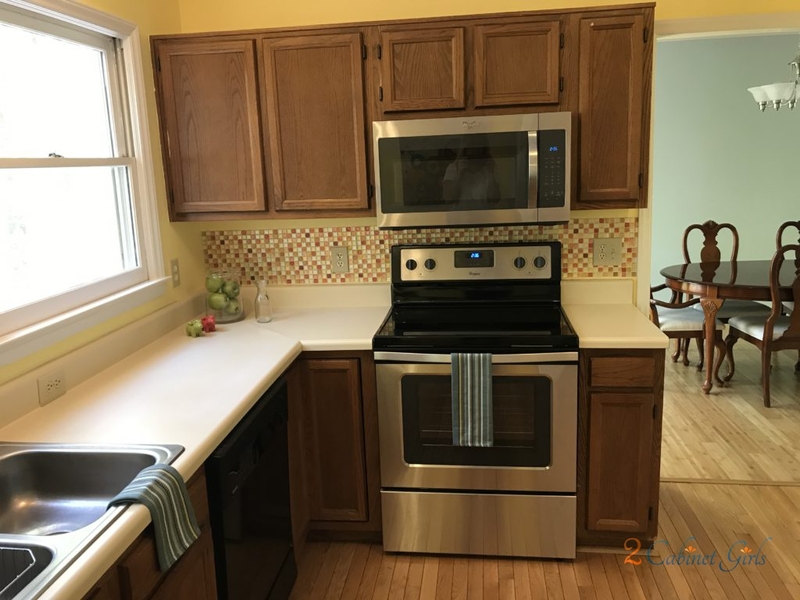 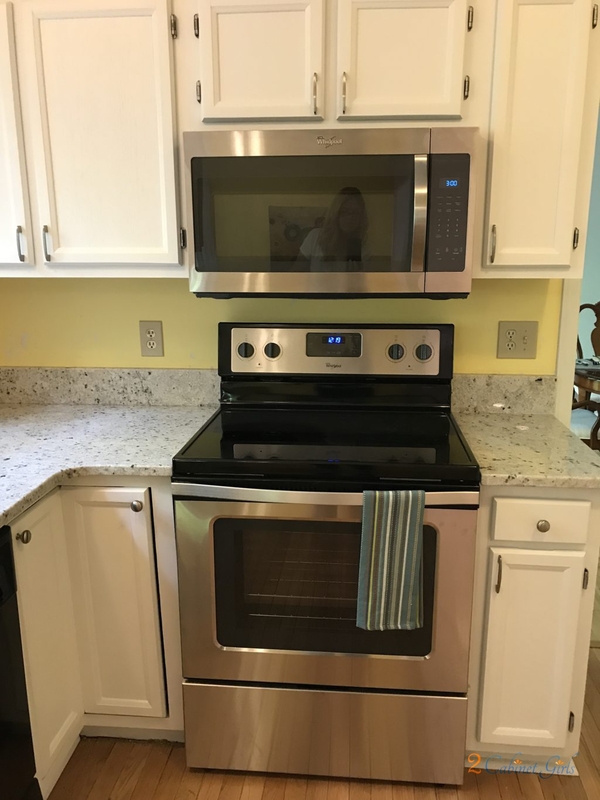 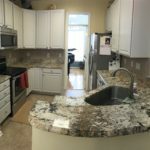 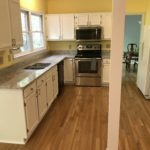 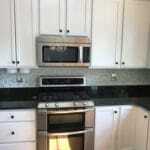 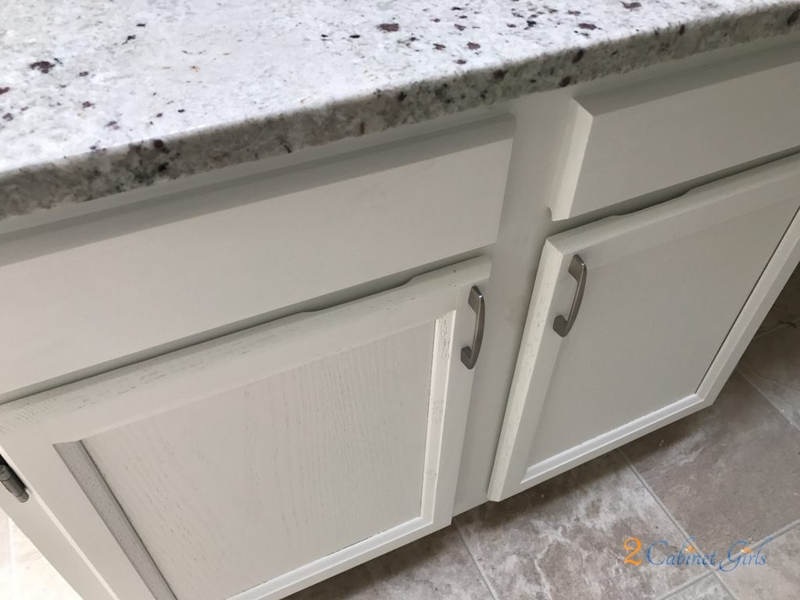 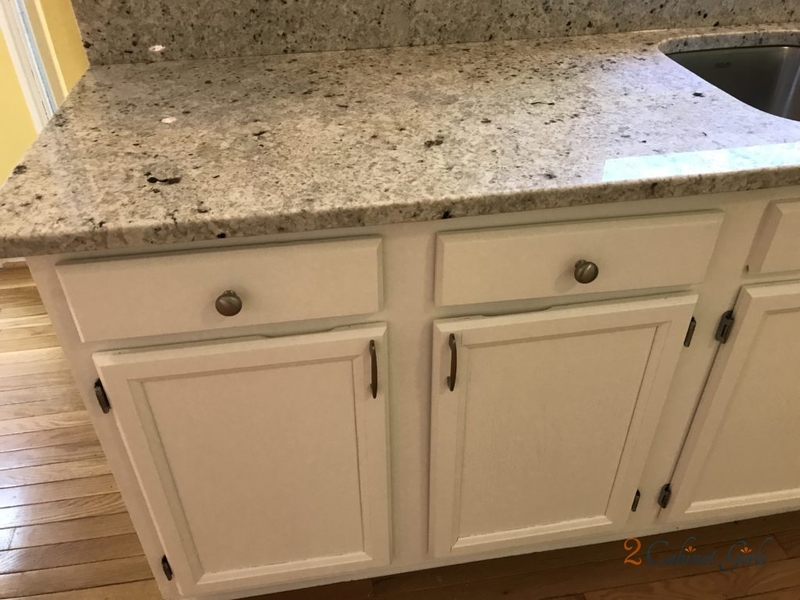 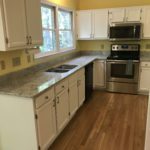 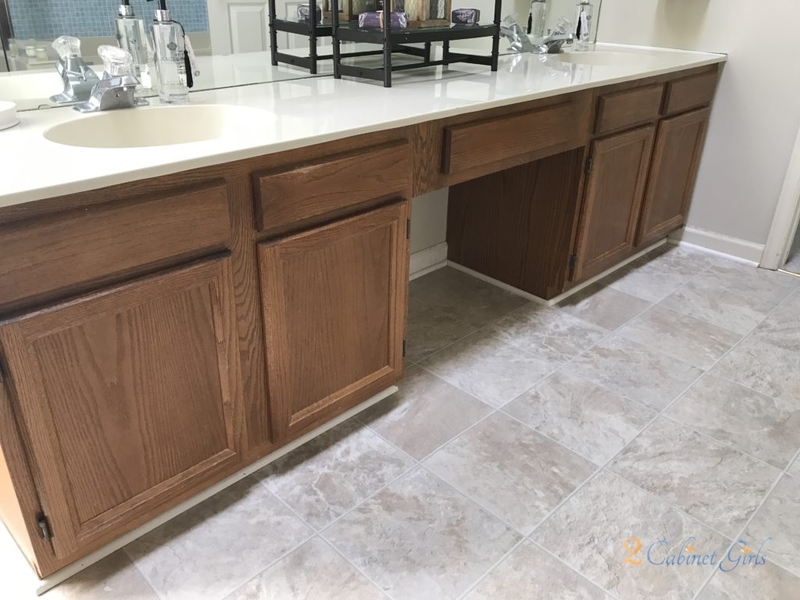 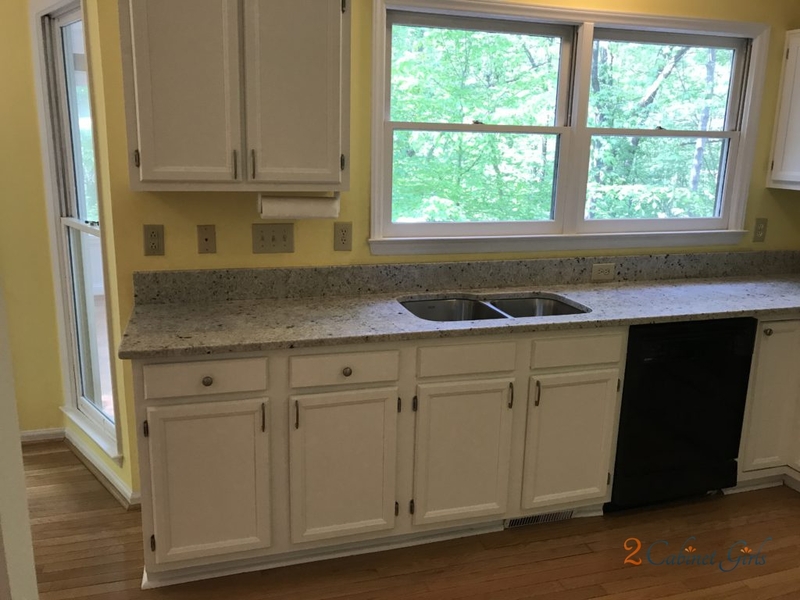 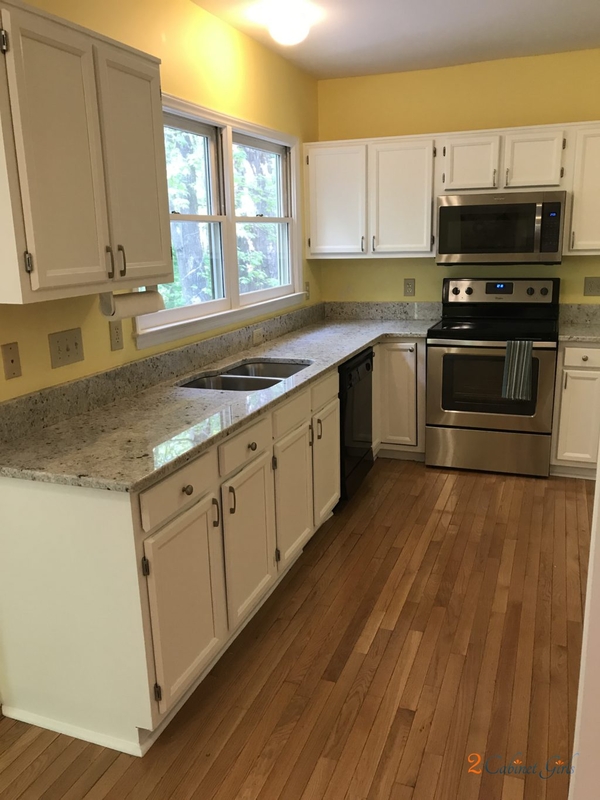 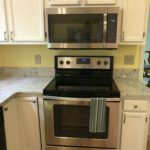 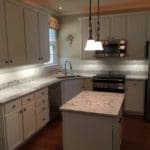 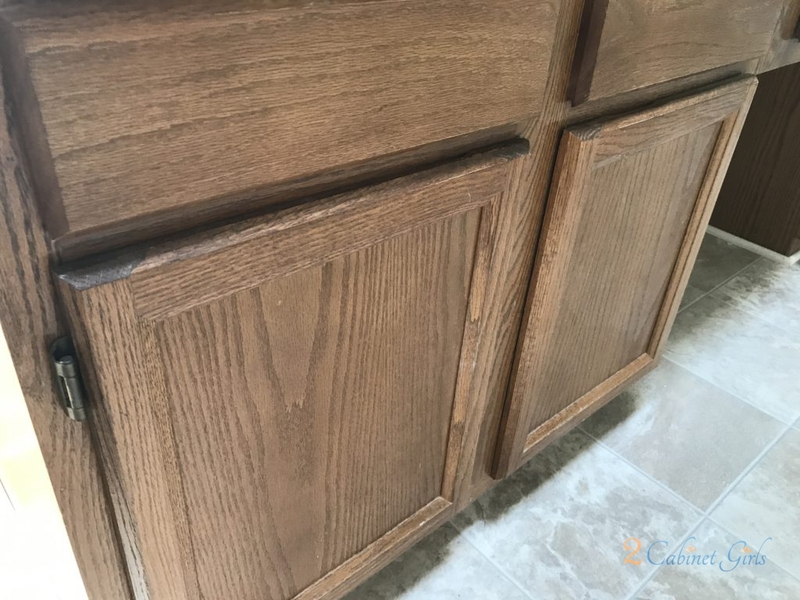 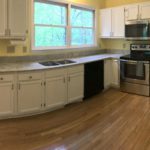 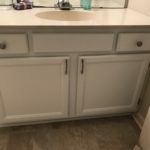 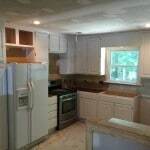 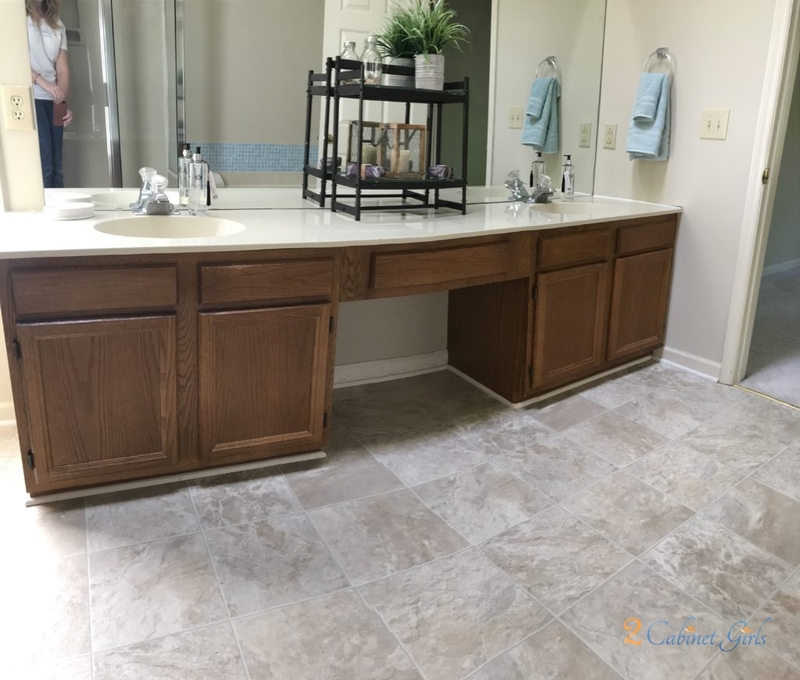 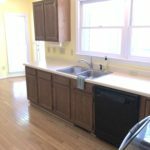 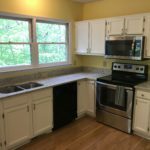 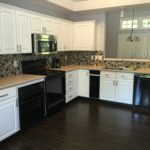 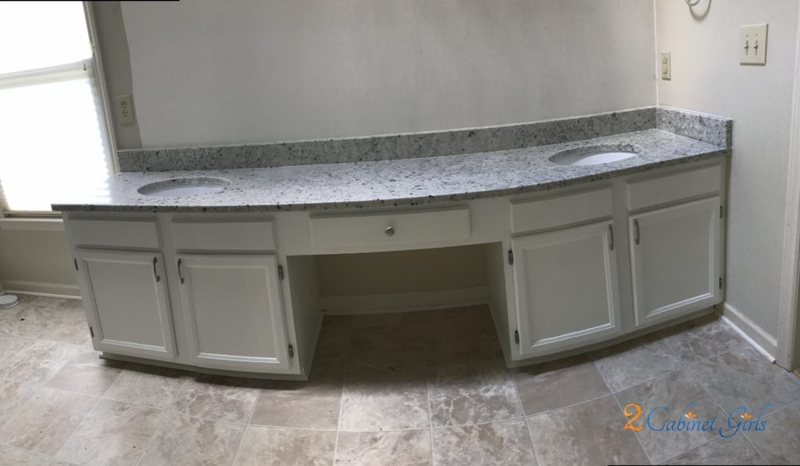 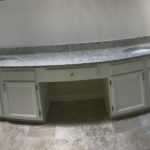 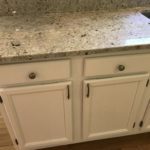 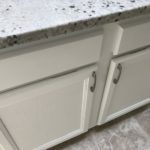 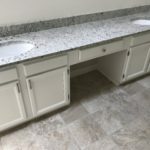 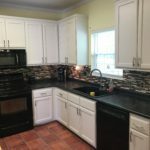 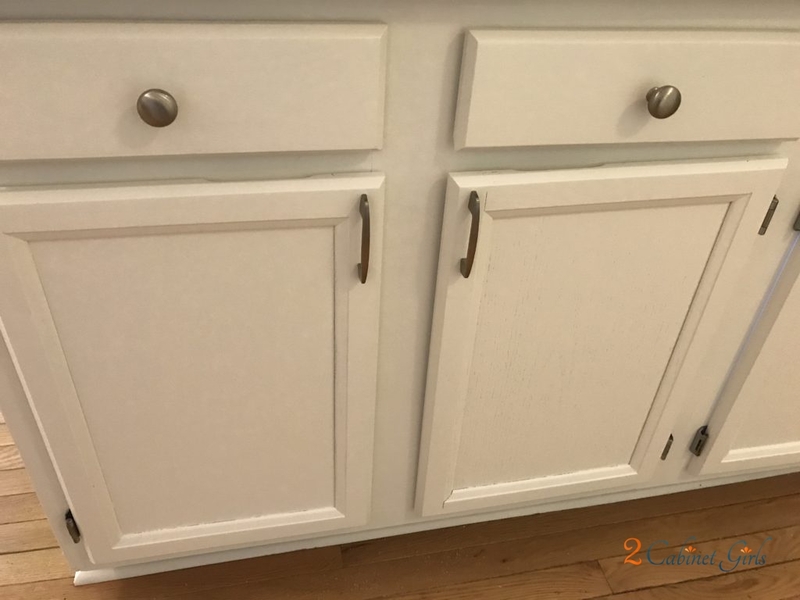 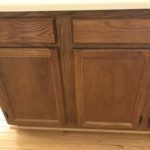 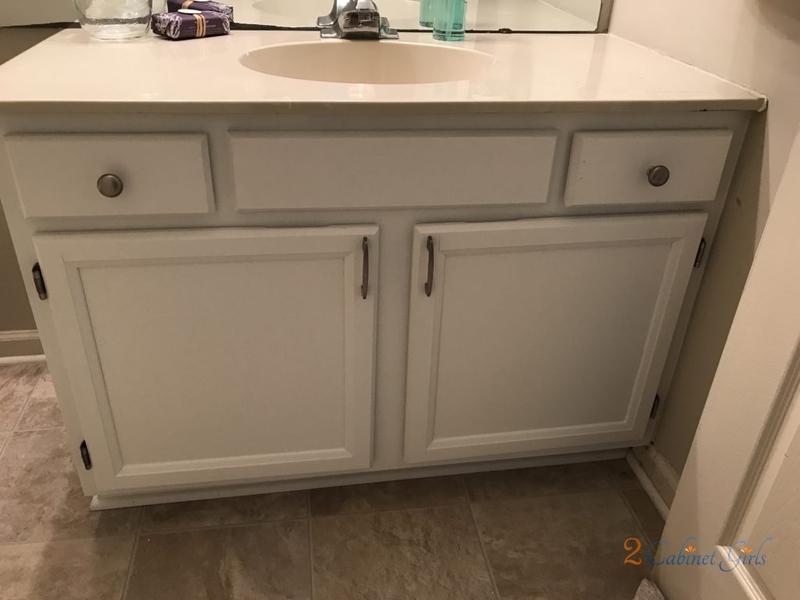 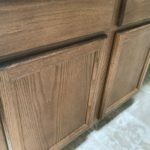 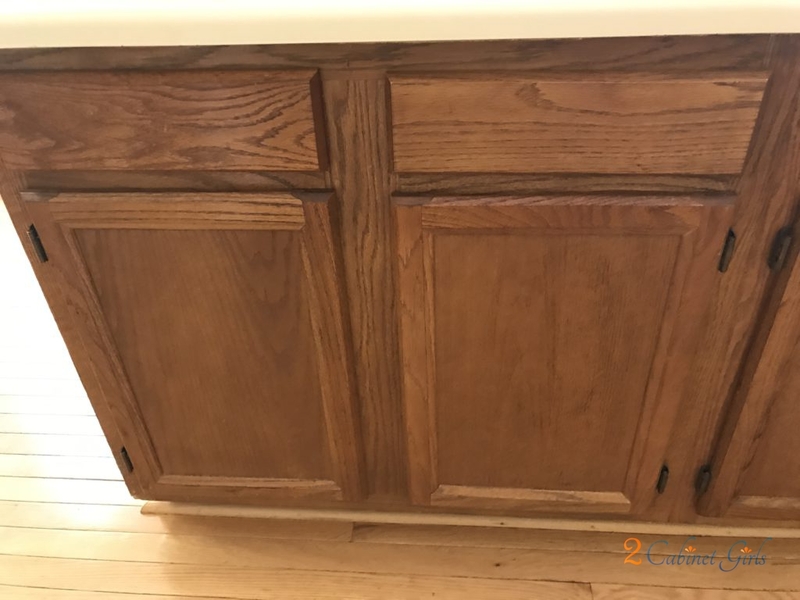 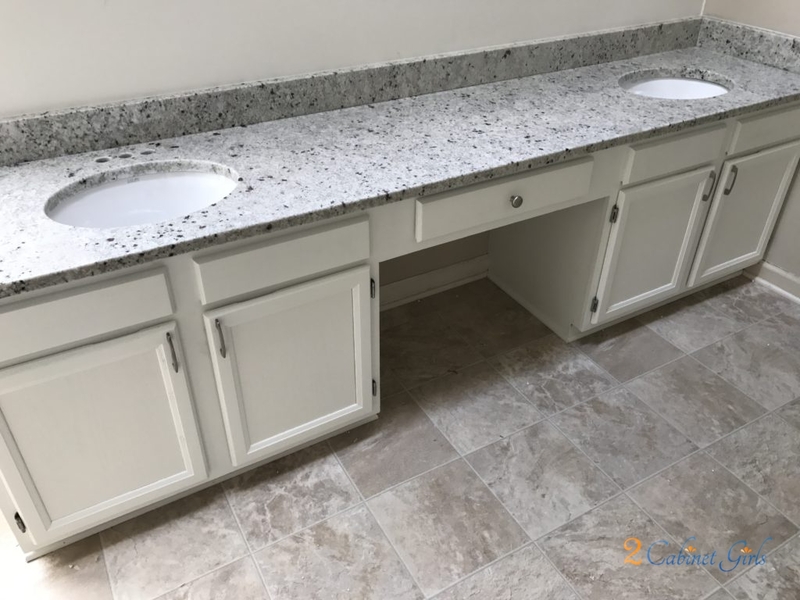 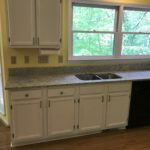 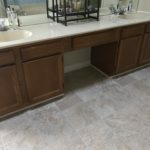 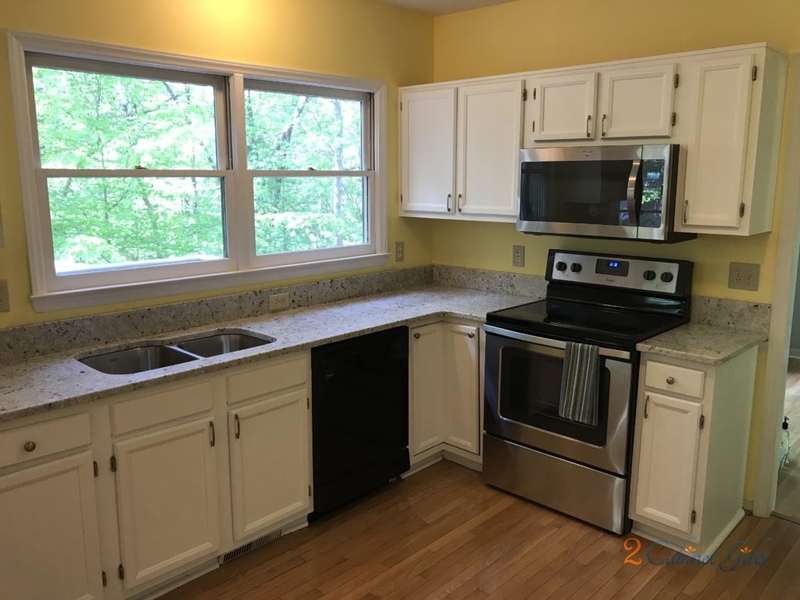 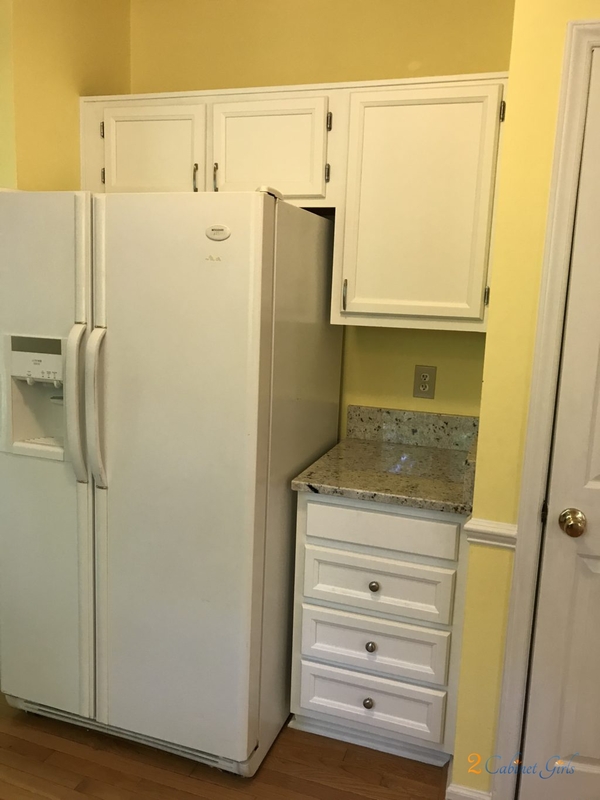 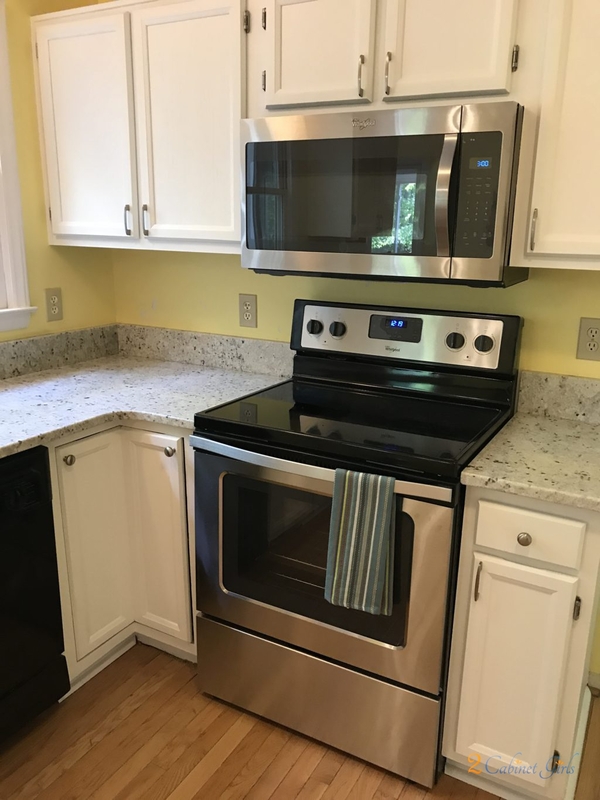 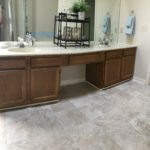 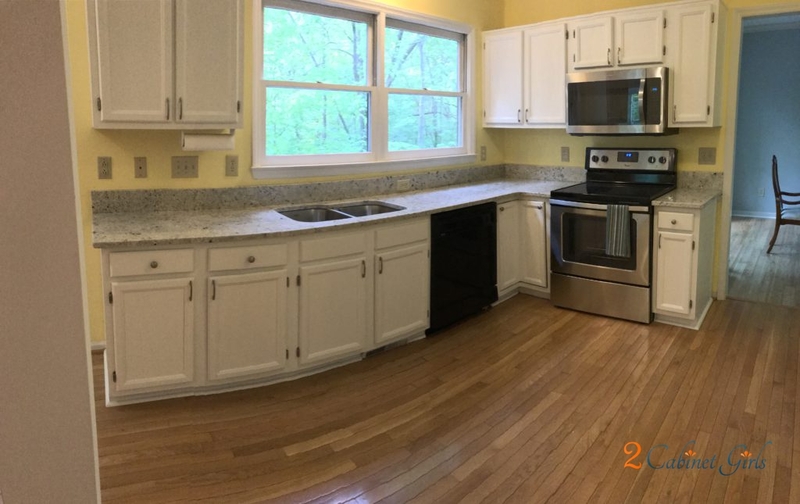 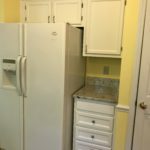 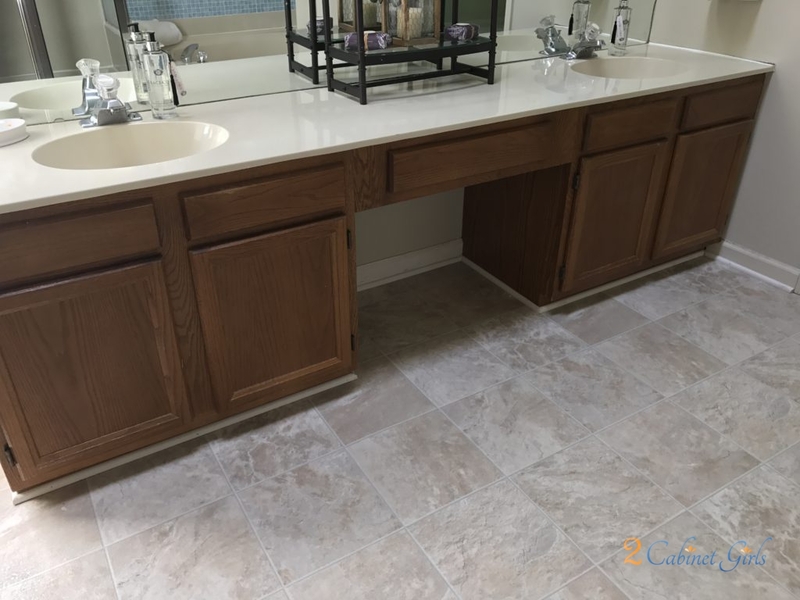 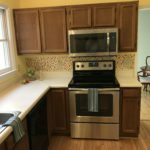 In an effort to get it sold quickly, painting the cabinets and adding a new granite backsplash were in order. 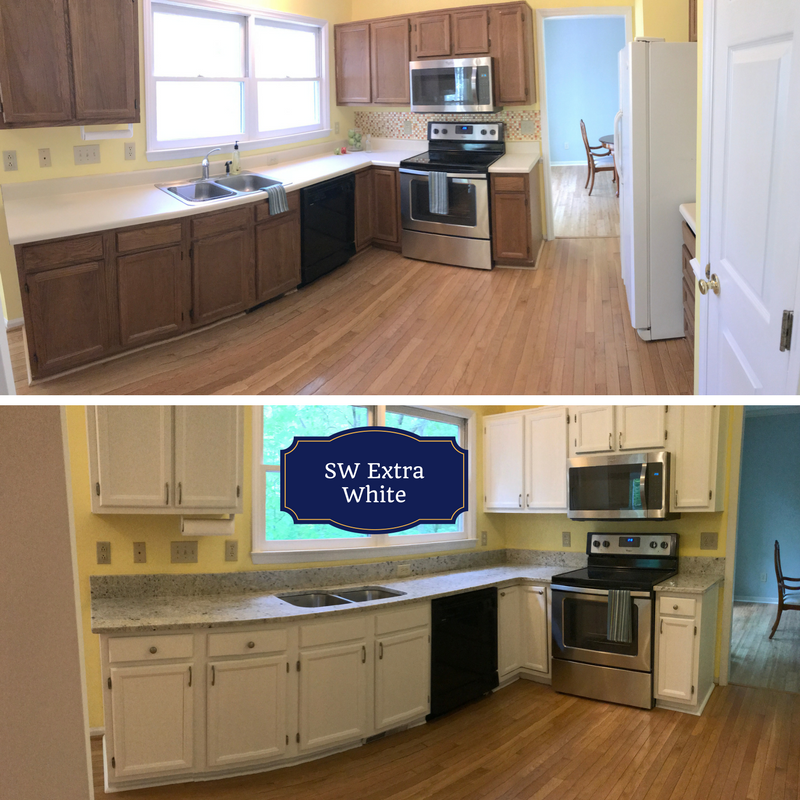 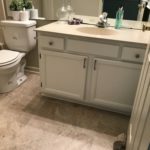 She chose a bright white, Sherwin Williams Extra White, to match the trim in the room. 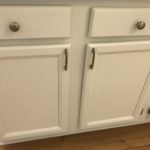 We also added some new brushed nickel knobs and pulls to give it that much needed bling!